Cranbrook Breastfeeding Mamas! April Meeting | Breastfeeding Mamas! is a peer support group for breastfeeding moms and pregnant women who want to breastfeed. There is always time for questions and 1:1 support at meetings. Meetings are facilitated by experienced breastfeeding moms who have been trained to lead meetings. Facilitators are volunteers. Sprout Anniversary Open House | You are invited! We are celebrating 3 years in the Platzl with our annual Open House. Drinks and snacks will be provided. We will offer special discounts, door prizes and more. Please RSVP for updates. All are welcome. Back To Basics- "Cannabis 101" | Come join us in our education centre next to Earth's Own Naturals. We will have two lovely ladies from Haven St. Premium Cannabis speaking on the basics of Cannabis. Perfect for anyone just getting into the plant and not sure where to start. They are hour long sessions with a Q&A, will be held at 12pm and 7pm. Sign up sheet in store, send us a message on facebook, instagram or via our website to save a spot! * Hosted by Earth's Own Naturals Ltd.
Cash Mob Kimberley - April Edition | Mark your calendars!!! We're doing double local this month! 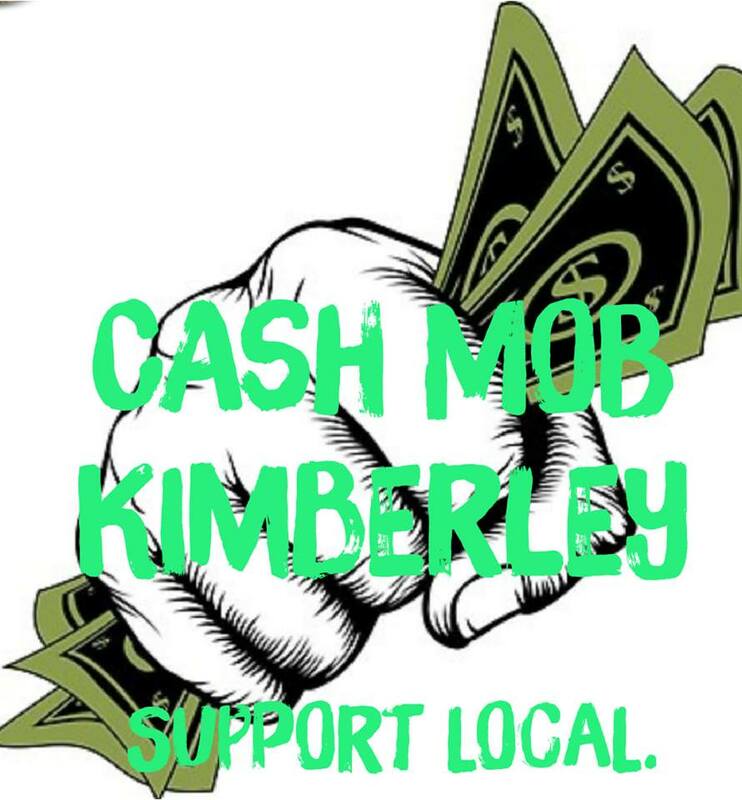 April's Cash Mob is happening Thursday, April 11 @ 7pm. Meet at the Platzl Gazebo. Come prepared to mob one of our many amazing local businesses with a minimum of 20$. After shopping, join us for an "After Mob" at a local pub, because what goes great with shopping? Beverages!! 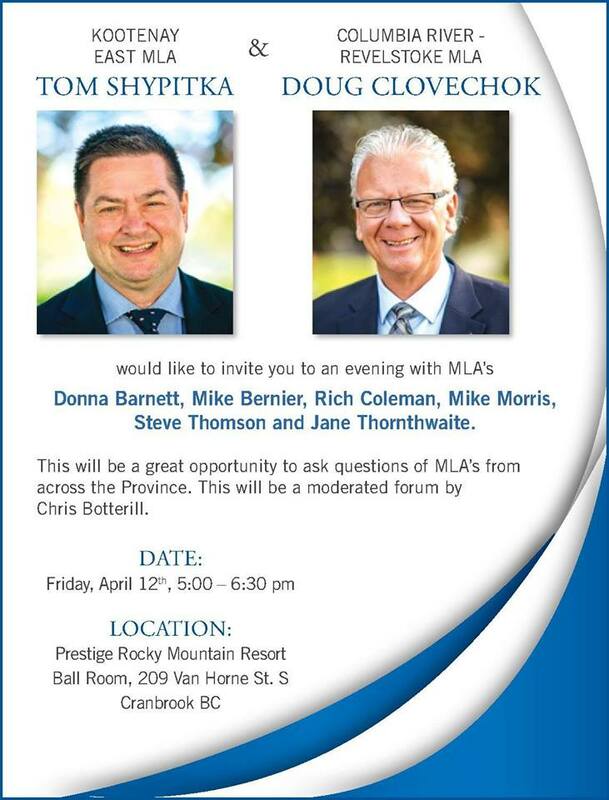 An Evening with MLAs | All are welcome to attend this free event where MLAs, Doug Clovechok, Tom Shypitka, Mike Bernier, Rich Coleman, Mike Morris, Steve Thomson and Jane Thornthwaite will answer questions and discuss topics important to the region. The Wizard of Oz on the Big Screen! | The Wizard of Oz! That classic film we all waited for to air on TV is coming to the big screen of The Wild Horse Theatre at Fort Steele Heritage Town! Doors open at 130PM. Show starts at 2PM. Only $5! It's spring and there's a lot of interesting things happening at the Fort! We've just had piglets and baby chicks born--and you can come and see them! Be sure to arrive early enough to get a hot fresh cinnamon roll from The Bakery and take a wander through The Wasa Museum. Take a stroll down Main Street back to a time when tops and tails were high-fashion and ice cream was a treat churned by hand in your own home. ARQ Community Free Day | Arq is about to turn 3, and WE CAN'T BELIEVE IT. As a thank-you to supporting us over the past three years, we want to do something for you. Sunday, April 14th, from 12-8PM, all day passes are FREE. Crazy, right? We know. This means that everyone can come in to climb, play, & train for free. EH? !HI54LOFI April 8, 2018 THE WEEKLY EH? !